There are few brands more universally recognized than Coca-Cola. Say what you will about the ingredient list of its namesake soft drink, but there’s no denying how hard the brand works to uphold its status as a household name. In the one-minute clip, “America the Beautiful” is sung in nine different languages – English, Spanish, Tagalog, Mandarin, Hindi, Hebrew, Keres, French, and Arabic. It celebrated what makes America (and the brand) so great: Its diversity. But the carbonated beverage actually saw incredible returns: In the days following, Coca-Cola’s YouTube subscriber count grew more than 1,100 percent while generating more than 50,000 likes on other social platforms. So what ignited the spike? A traditionally American song sung in multiple languages added just the right amount of controversy to the brand’s more vanilla formula. Although striking up controversy might seem ill-advised, polarizing ideas work because they trigger an emotional response – which is essential in generating massive shares. In other words, controversial content works because it evokes an immediate reaction from its audience, and people click, read, and share because they have an opinion – and the internet allows them to share it with the world quickly. Another reason why pushing the envelope works? It allows you to offer a fresh perspective on a familiar topic. Consider this campaign by Bulimia.com – a California-based organization that provides resources to individuals struggling with eating disorders. Using Photoshop, designers reimagined comic book characters like Batman and Captain America to look more like an everyday individual. 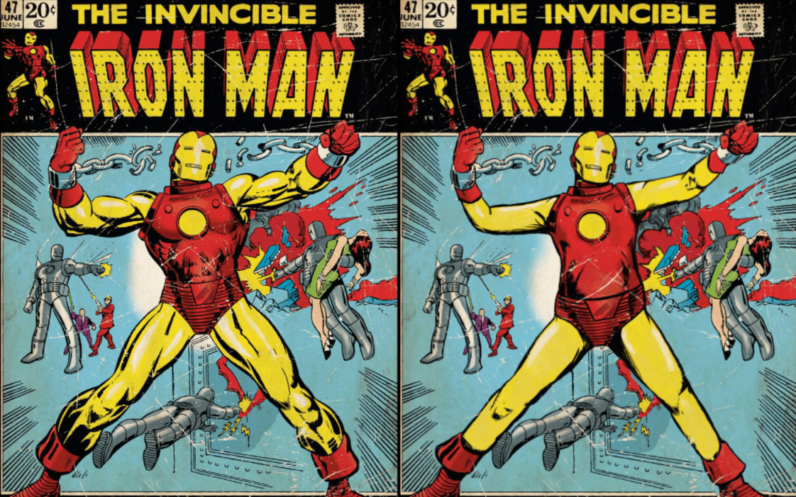 When the less-toned superheros were paired alongside their original sketches, the stark contrast between the two images offered a new way to discuss body issues – particularly for men. The result? In just nine days, the campaign earned more than 200 pickups and nearly 90,000 social shares in 20 US states and 25 countries. So how can you make controversy work for your brand? To get big results, your content needs to get people talking. Keep in mind, though, that adding a contentious angle also opens the door for people to question – and even criticize – your content, so here are some ways to minimize any risks. Sexual innuendos are controversial. Sexual innuendos that imply predatory behavior are also controversial. One of these is appropriate and one isn’t, and someone in Bloomingdale’s missed the memo in their 2015 holiday catalog. Needless to say, the internet had a field day, which resulted in the retailer apologizing and acknowledging that the ad was in poor taste. Realizing that are different forms of controversy is crucial when outlining an idea that will get your campaign noticed and not dragged through the mud. Different types of controversy include presenting something shocking and unexpected, igniting a debate, or taking a strong opinion – the latter being the most difficult to execute. Regardless of which option you choose, though, understand that your content should be tasteful and grounded in respect. Another thing any controversial campaign should be rooted in? Reliability. In order to limit any kind of backlash from publishers and their audiences, your content should rely on a credible and trustworthy data source. A great example is this study that set out to determine the dirtiest hotels. To ensure integrity, 36 samples from nine different hotels were sent to a third-party lab for testing. Relying on an accredited lab made the results more sound, particularly because at the heart of the study was a rather bold statement: Five-star hotels are actually the dirtiest. Shocking an audience simply to shock won’t deliver the results you’re looking for if the content doesn’t tie back to your brand and its core messages. Consider the Ad Council’s incredibly successful “Love Has No Labels” PSA. The organization works to inspire “ongoing dialogue, engagement and action around significant public issues” with the goal of “creating a measurable difference in society.” This video took that message to heart when it took a closer look at how we deal with unconscious prejudices – specifically those related to relationships. Using an X-ray machine, passersby saw skeletons engaging in different signs of affection before those behind the screen revealed themselves as either a gay, lesbian, or biracial couple. This message of tolerance connected directly to the organization’s mission, which helped the controversial clip become one of the most successful community and activism campaigns of all time. Although there is no guarantee in how audiences will respond to a controversial idea, the success of campaigns like Coke’s “It’s Beautiful” prove that when leveraged properly, polarizing content works. Yes, testing controversial waters makes your brand more vulnerable to internet trolls. But as long as you’re mindful that respect, credibility, and key messages are all incorporated into your campaign, you’re inviting engagement from both sides of the fence – a strategic move that will bring you a whole new level of exposure.